The Pig, 1320 14th St. NW, has added eight patio seats. It has also changed its daily menu. The nose-to-tail restaurant is now having whole, local, free-range pigs delivered directly by their small farms without any supplementing from large meat distributors. The Pig, which is now only ordering whole hogs that will be butchered in-house, will have a new menu each day for dinner daily and lunch/brunch Friday through Sunday. Menus will be uploaded online and will reflect what The Pig has available from both the pig farms and produce from EatWell DC’s farm. The pigs are coming from Creekside Farms in West Virginia, Whistle Pig Hollow and Catoctin Mountain Farms in Maryland, and Autumn Olive Farms in Virginia, The Pig gets four to five pigs each week, and uses all parts of the animal without supplementing from distributors. Also, The Pig has updated its drink selections with high-end bourbon and gins. And, all wine the restaurant now serves is 100 percent American. 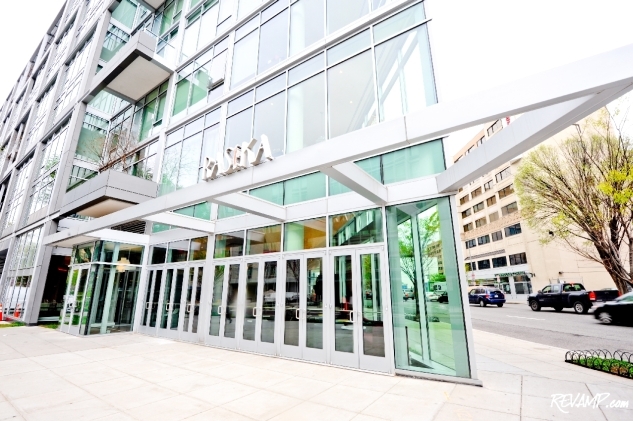 Rasika West End, 1190 New Hampshire Ave. NW, is now serving Sunday brunch service from 11 a.m.-2:30 p.m.
Diners can select from an a la carte menu featuring modern and authentic Indian fare prepared on the tawa (griddle) and sigri (open barbeque), as well as tandoori. There are also regional dishes including Sunday curries and brunch specials with prices ranging from $8-$25. Brunch dishes include palak chaat, crispy baby spinach with yogurt, tamarind and dates; kedgeree, basmati rice with egg, ginger and mango chutney; rockfish curry with coconut, green chili, ginger and curry leaves; eggs kejiriwal, a Wellington Club special cheese chili toast with sunny side eggs; spinach egg curry with onion, tomatoes and baby spinach; coconut jaggery pancakes with fresh coconut, cardamom and caramel. To complement the dishes, guests can choose from fresh seasonal juices and mocktails, such as passion fruit punch and ginger soda priced from $5-$8, or bottomless mimosas, Bloody Marys or prosecco for $15. For dessert, choose from dishes including Indian bread and butter pudding and white chocolate rice kheer. Desserts range from $7-$9. 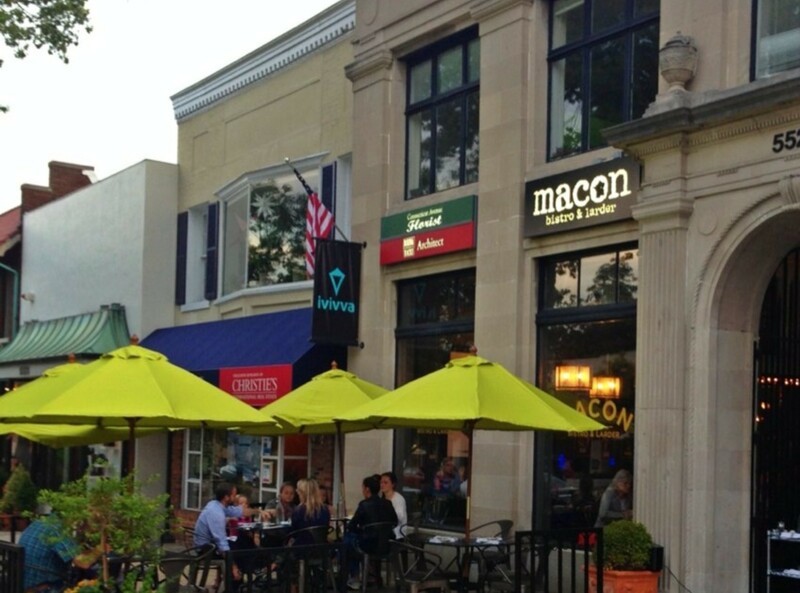 Beginning June 7, Macon Bistro & Larder, 5520 Connecticut Ave. NW, Chevy Chase, kicks off a Sunday supper series by newly appointed chef de cuisine Jenna Pool. The new dinner series features a $35 prix fixe, three-course menu. Sunday supper is an intimate experience at the restaurant’s two eight-seat tables adjacent to the kitchen. Pool will introduce each course as it is presented. She will also share why she chose the dishes and explain how she prepared them. Focused on sourcing and incorporating fresh local, seasonal ingredients, Pool’s menus will change based on what the market offers. 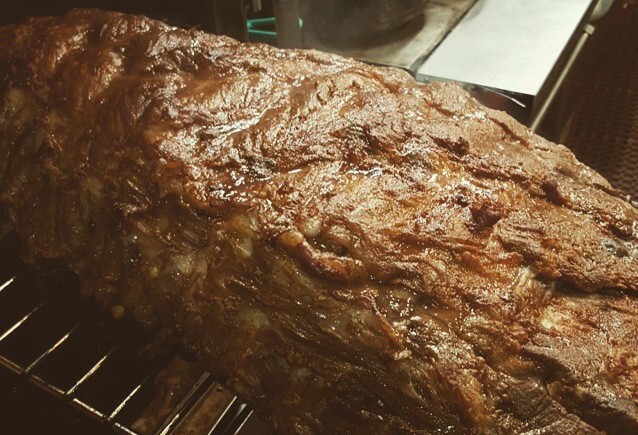 The Sunday suppers will be served the first Sunday of each month. 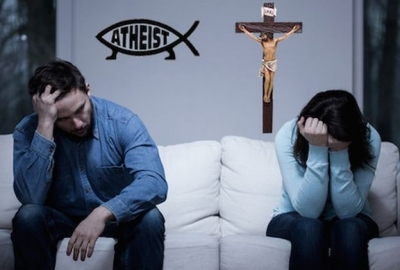 Seatings are available at 6 and 8 p.m. for up to 16 people. 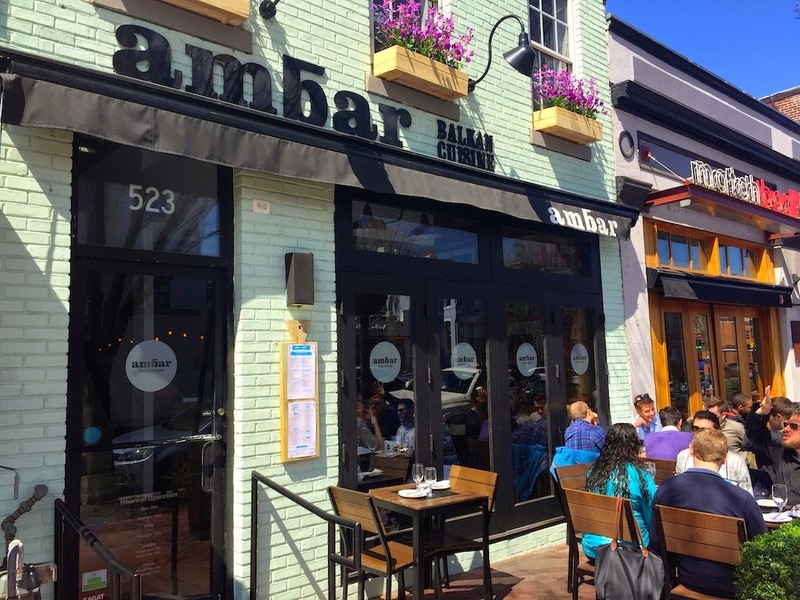 Ambar, 523 8th St., SE, will host a wine dinner with Chat’s Liquors on Sunday June 7, from 6-7:30 p.m. featuring wines from the Balkan region of Europe. Priced at $65 per person, guests will enjoy a five-course meal featuring modern Balkan fare from the new spring menu. A representative from Chat’s will pour wine pairings imported from the Thracian Valley region of Bulgaria. All the wines sampled during dinner are available at the restaurant, and can be purchased at Chat’s. The first course includes mezetluk and a mezze platter with the chef’s selection of Balkan meats paired with a 2011 Bulgariana Cabernet Sauvignon. The second course is prokelj sa slaninom, Brussels sprouts with bacon topped with a lemon and garlic yogurt paired with a 2012 Bulgariana Thracian white blend. The third course is manastirska piletin, almond crusted chicken with walnut, green apple, chive and wasabi mayonnaise, paired with a 2011 Bulgariana Cabernet Sauvignon and Syrah. The fourth course is grilovane kobasice, a house-made sausage, paired with a 2008 Bulgariana Imperial red blend. Dessert is reforma cake with walnuts, Dolcela chocolate icing and passion fruit espuma, served with baked apple ice cream. From June 8-12, Mike Isabella is drawing on the Jersey Shore vacations of his youth to celebrate summer at Graffiato, 707 6th St. NW, with a special menu. Boardwalk treats serve as the inspiration for dishes like disco fries with Sunday gravy, pancetta jam, stracciatella and foie gras for $12; fried chicken and waffle baskets with a whiskey glaze and mac and cheese fritter for $14; scallops casino with Calabrian chilis, gremolatta and capicola for $15; mini lobster rolls on brioche with celery salt and lemon aioli for $6; strawberry prosecco shaved ice and bags of jelly-filled zeppoles dusted with powdered sugar. Prices range from $6-$18. The menu is available http://graffiatodc.com/graffiato-goes-jersey-shore/ online. The dining room will be decorated with seaside flourishes and there will be vacation cocktails including watermelon margaritas and strawberry daiquiris, along with mini domestic beer bottles served by the bucket. 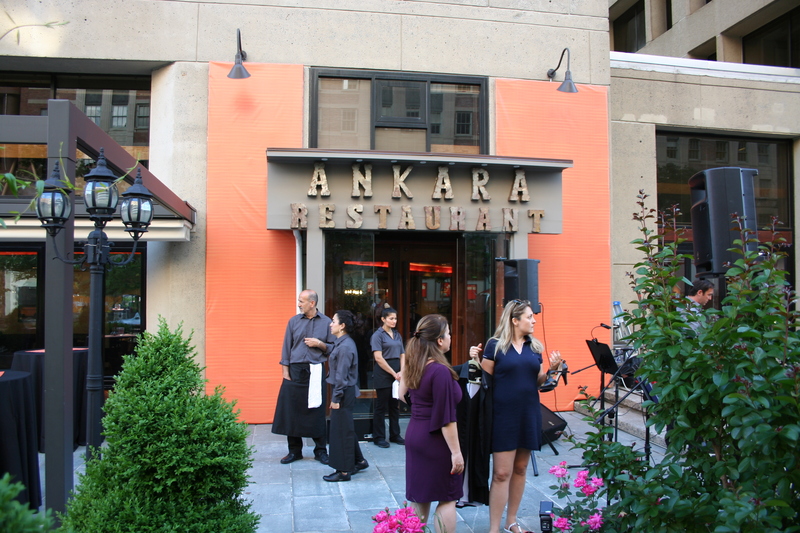 The new Ankara restaurant, 1320 19th St. NW, will launch its new weekend brunch on June 13. Brunch will be served from 11 a.m.-3:30 p.m. Saturday and Sunday. Brunch will be a celebration of the famous kahvalti Turkish breakfast, traditionally one of the most important elements of Turkish cuisine. Brunch is priced at $37 per person and includes tea and a choice of Mimosa, Bloody Mary or cranberry juice cocktail with house vodka or gin. Diners will start with van kahvaltisi, a broad selection of small plates of savory and sweet items including bal (honey), peynir (cheeses), zeytin (olives), recel (fresh fruit jams), tomatoes, peppers and more to be shared at the table. They can also select items from a range of egg, salad and pide (Turkish flat bread) dishes as well as dessert. 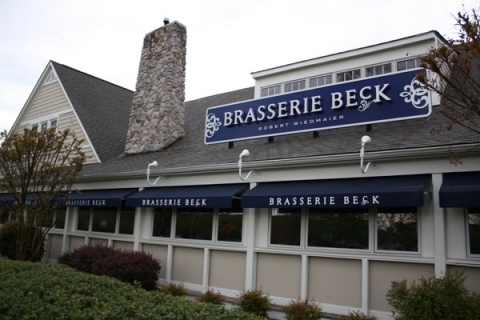 Chef Robert Wiedmaier’s RW Restaurant Group is renaming Brasserie Beck at 311 Kentlands Blvd., Gaithersburg, Boulevard Tavern and changing its concept. 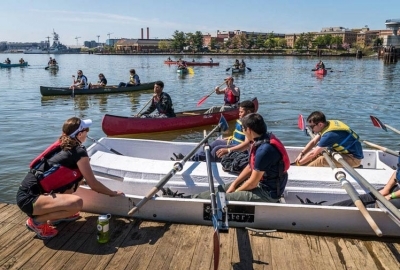 The restaurant opened just over a year ago as a sister to the D.C. location. 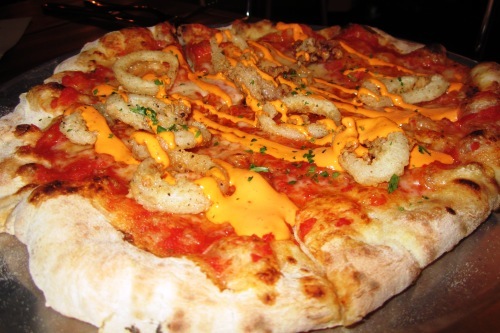 The restaurant is ditching it fine dining Belgian cuisine for an American casual dining menu. The restaurant will lower its average price point from about $45 per person to $30-$35 per person for an entrée and drink. The number of Belgian beers will be cut back to make room for more American craft beers. New dishes from newly appointed chef Matt Newland, formerly of Wildwood Kitchen, include The Tavern Burger, an 8-ounce, three-beef blend grilled on an open flame; a Maryland crabcake sandwich on a toasted brioche bun with a side of cider vinegar coleslaw; crab-stuffed baked oysters crusted with toasted panko and cheddar cheese; grilled calamari with chorizo and citrus yogurt; and buffalo, habanero BBQ or dry-rubbed wings with blue cheese dressing.. Wiedmaier’s signature mussels will remain on the menu. The restaurant is open during its transformation, which is expected to be complete in about a month. The group, which owns nine restaurants in the DMV, also purchased River Falls Tavern, 10128 River Road, Potomac, Md., from John Grolig and will expand its menu with dishes normally found at taverns and lighter, healthier choices similar to the one at Boulevard Tavern. Neal Langermann is returning to Capital Restaurant Concepts as its new corporate chef. In his new role, he will once again serve as executive chef Georgia Brown’s, 950 15th St. NW, a position he held for eight years, as well as serving as the corporate executive chef of CRC, overseeing the menus at J.Paul’s, Old Glory Bar-B-Que, Paolo’s Ristorante, Neyla in Reston, Va., and Ovations, the on-site restaurant at Wolf Trap National Park for the Preforming Arts. A native of the San Francisco Bay Area, Langermann graduated from the University of Oregon in March 1985 with a double major in Marketing and Economic Theory and Application. His culinary career began with a three-year, European-style chef apprenticeship with chef Paul O. Grutter. 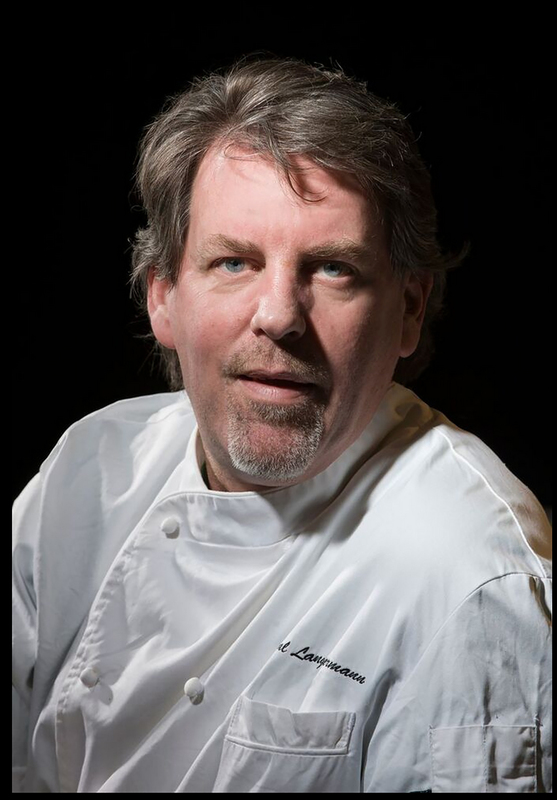 In 1990, Langermann moved to Washington, D.C. as a sous chef at the Mayflower Renaissance Hotel, followed by the Jefferson Hotel, before becoming a member of the opening culinary team at Red Sage. In 1994, he accepted the position of executive chef of Perry’s in Adams Morgan, before joining Capital Restaurant Concepts in 1995. He worked a short time at Paolo’s in Georgetown, before being appointed executive chef of Georgia Brown’s, where he remained for the eight years. In 2005, Langermann become executive chef of Clyde’s Chevy Chase. One year later, he became the corporate chef for the Gramercy Group, which ran a chain of restaurants called Café Deluxe. During his year with Gramercy Group, he focused on creating systems and practices designed to better execute their menus. In 2009, he opened his own restaurant, Langermann’s in Baltimore, which he still owns.